Specialist expatriate insurance provider, William Russell, has engaged Chaos to undertake a brand refresh from their existing globe-mark. Chaos was appointed by expat insurance providers, William Russell, for a complete overhaul of their brand identity, values and messaging. The project included a brand workshop with key stakeholders, copywriting of collateral and website in addition to the full web design and development. 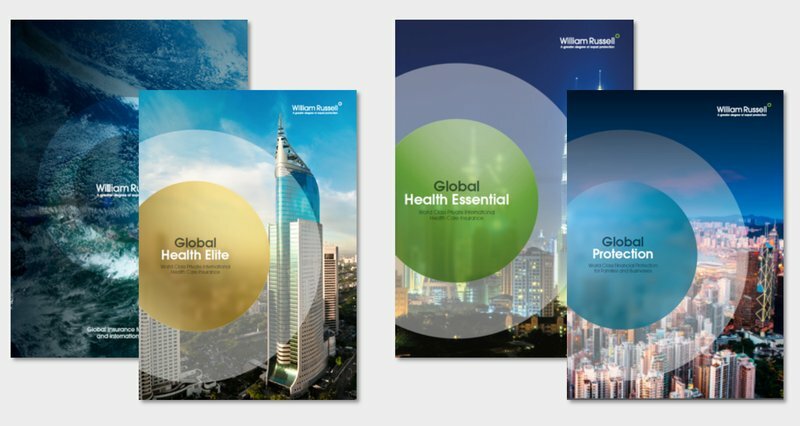 The results of this rebrand have been highly positive for William Russell, who have a striking brand with cohesive messaging and aligned collateral across all international offices. 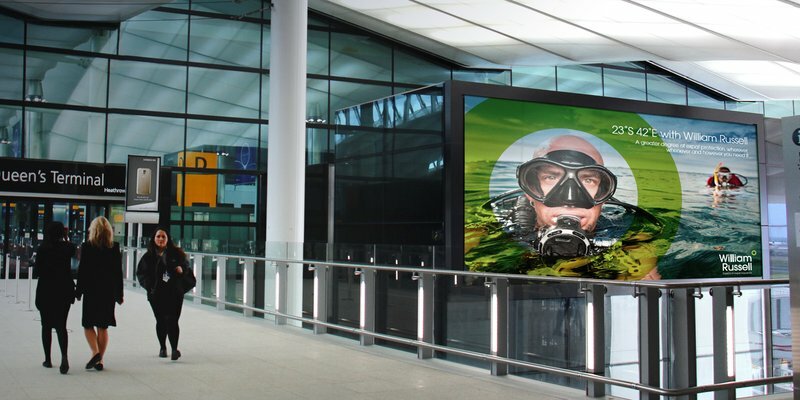 Facing increased competition in their specialist market, expat insurance specialist William Russell appointed Chaos to re-energise their brand identity, values and messaging. Chaos created a fresh, contemporary new brand based on a global brand proposition of a greater degree of protection. This helped re-establish William Russell as niche market leaders against increased competition from new expat divisions of more generalist insurance providers. 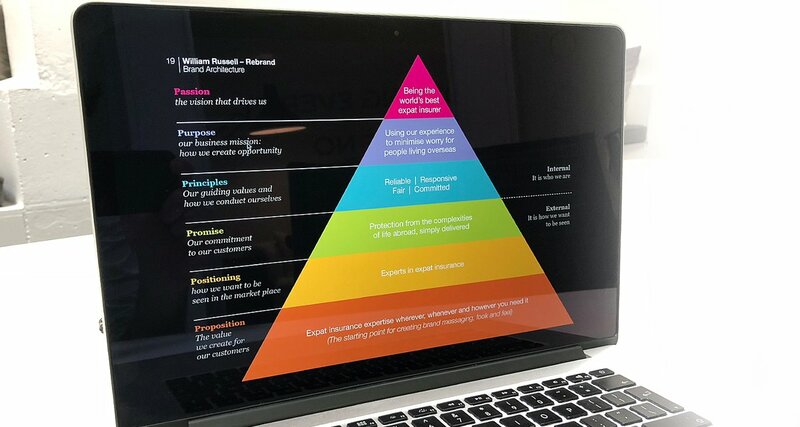 William Russell required a clearer hierarchy and structure to their communications with clients following the branding work Chaos carried out. Chaos restructured the information into a suite of four brochures including a corporate brochure and break-down by product. Custom imagery and an image bank were also developed as part of this project, meaning a consistent photograhic style with degree applied are maintained. The new website fully integrated with third party software and following launch maintained Google SERP rankings. 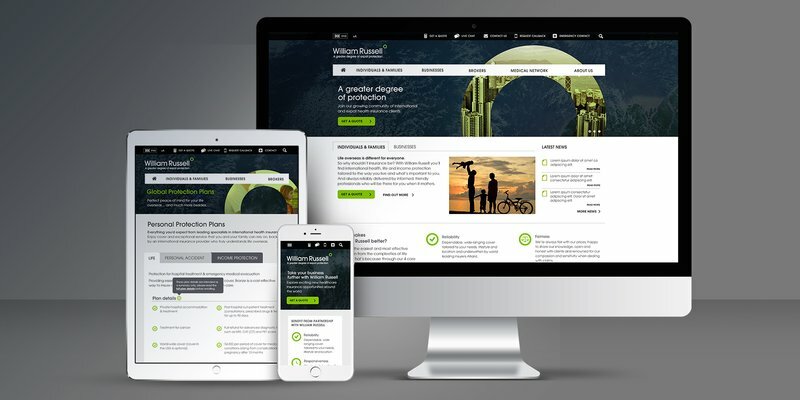 Having delivered a successful rebrand and brand guidelines, Chaos was asked to apply the “degree” identity to all on and offline communications including a full responsive website and a suite of engaging brochures. The digital strategy also included a suite of email templates and the reskining of third party booking software to ensure consistent transitions from website to web application.